At We Build Ideas, we’re passionate about every project take on. We are committed to delivering unique projects that engage and inspire. Please view our portfolio of website design, e-Commerce, digital marketing and branding work. 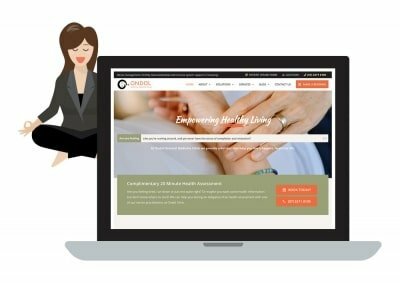 Design and develop a new website to present information about their solutions and provide a booking online system for patients. 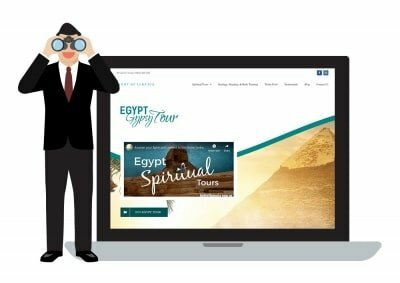 Light of Lemuria needed a new website to showcase their tours and services while capturing leads through inbound marketing strategies. Yellow Hosting is a new Australian hosting business that needed a full package including a website with eCommerce functionality. Byron Bay-based not-for-profit One Vision Productions needed a new online presence for their growing list of programs and courses. 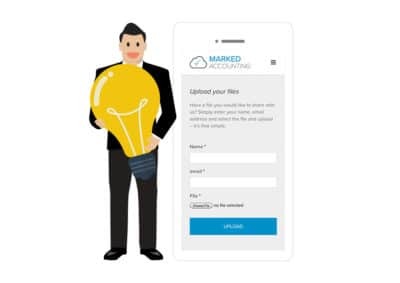 Branding and website design featuring a document uploader for Gold Coast cloud accounting specialists, Marked Accounting. 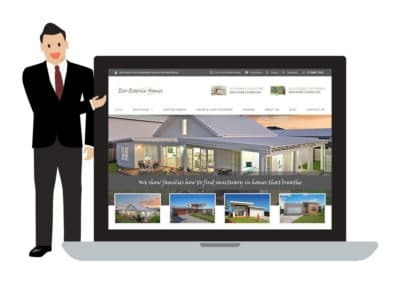 Multi-award winning sustainable eco home builders, Eco-Essence homes website renewal and inbound marketing platform. Evans Head Cinema is a free community event. We Build Ideas delivered branding and a responsive website. 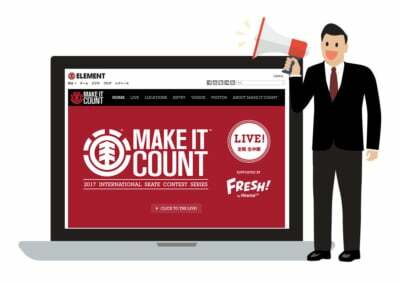 Annual website design and development for the Japan leg of the international Element Make it Count contest series. Branding and web design for Circus in Education. A fun new business model that brings fun back to the classroom! 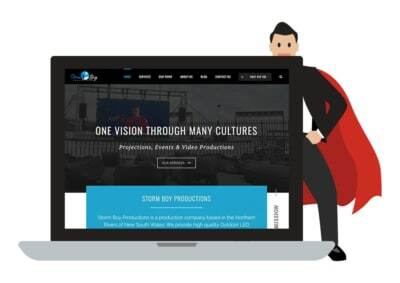 Responsive website design for Storm Boy Productions - a company that provides unique and engaging productions. 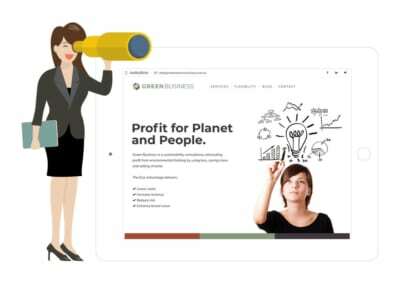 Branding and mobile responsive website design for Cairns based sustainability consultancy, Green Business Consultancy. For over eight years now, We Build Ideas has worked with Billabong Japan with it is annual Billabong Surfing Games series. I have worked with We Build Ideas for the past eight years on various types of projects from large events to product promotions. Damien and his team have always come to the table with fresh ideas, seeing each project through from conceptualisation to results analysis. We highly recommend We Build Ideas! 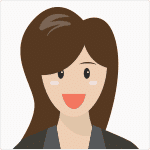 We Build Ideas designed and developed my new copywriting website and I love it to bits. Working with We Build Ideas was really enjoyable, professional yet relaxed. 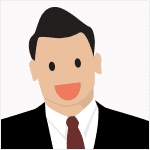 Damien and his team are smart, creative, really responsive and fun to work with. They know all there is to know about good quality website design and the importance of SEO right from the word go. In short, they just get it, which is really refreshing. I’m really happy with the end result and would definitely recommend We Build Ideas for any small business owner looking to make a real impact online. Thank you! I recently had ‘We Build Ideas’ complete a total rebranding of my business. From the start Damien was such a pleasure to work with. He listened and understood the direction I wanted to take my brand and delivered in a timely and impressive manner. His knowledge and skill to differentiate my business from the rest was just how i wanted it. Highly recommend his services and skills. Over the past two years, We Build Ideas has supported our start-up to create a strong online presence, a branded marketing package and social media strategies to expand the business. We owe the continuing success of our company, in no small part, to the support that We Build Ideas has provided. Generate has been working with We Build Ideas for 18 months now, and we are online presence continues to grow – thanks We Build Ideas! Just want to thank you for an absolutely amazing new website. Im not really knowledgeable about this side of my business and i felt completely at ease and taken care of. Very trustworthy to do business with and they very patiently went step by step through the whole process with me. I will be using We build Ideas for all my future business needs. We Build Ideas is an amazing creative studio on the Gold Coast that understands what’s needed to promote my business. The talented team provides great service with a professional flair. I will be back for more as my business grows. Thanks for your awesome work We Build Ideas! Ready to make your business stand out in the crowd?